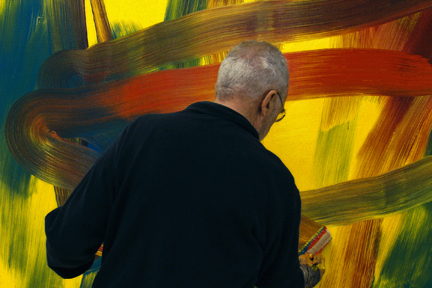 It was not until a couple of days ago, I finally got a chance to watch Corrina Belz', 98 minute documentary, Gerhard Richter Painting. 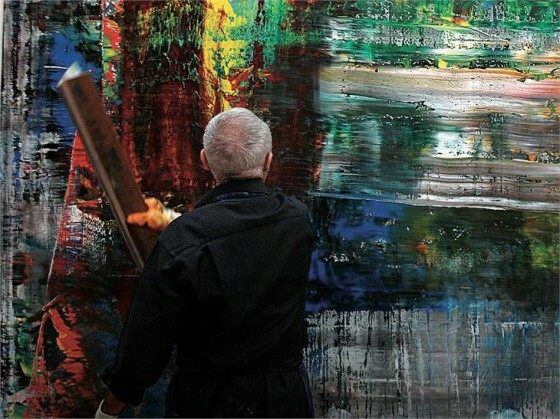 Despite his hectic world of press conferences and exhibition life, as the title suggests, Gerhard Richter's life consists of mostly spending days painting and making critical and/or artistic decisions. Nonetheless, the film takes the viewer into a streamlined lifestyle of his professional life in which at first glance, one would experience a rather thorough act of creation itself. That is, the viewer, for the most part follows Richter's art making process, featuring unobstructed and raw footage of him applying paint onto canvases, persistently swabbing their surfaces and persistently tweaking its appearance. It was a never ending story--a lifecycle in its own way. Alas, watching him paint so religiously brought me to a very calm and meditative place. 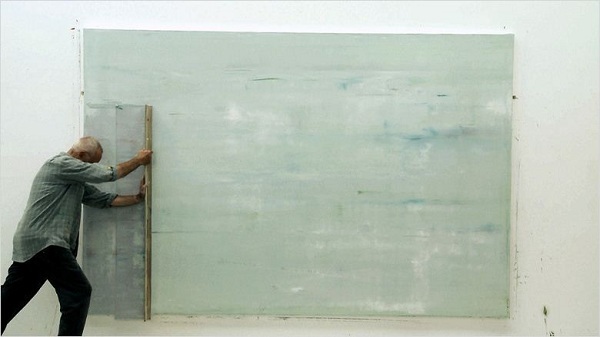 It was probably the routine itself, painting and transforming large-scale artworks with a large paint brush and an oversized squeege. Of course, parts of the movie could use more elaboration or excitement. It was slightly disappointing knowing that there is so much more content and essence behind Richter's personal life and professional career that Belz' did not dive into. Thankfully, many of Richter's self-reflection and reassuring motivation is what kept the movie together. He was undoubtedly, the life of the movie, just like his paintings, in many gallery settings. To read more about the movie, click here.